We make Trex® eco-friendly composite decks from an innovative blend of 95% recycled wood and plastic film—that’s almost the whole thing. 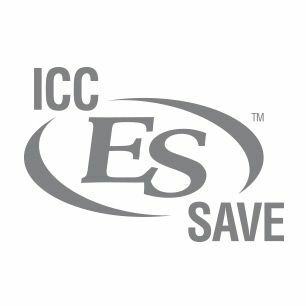 On top of that, our company uses some of the most earth-friendly manufacturing processes in the country, reclaiming factory waste and eliminating the use of harmful chemicals. 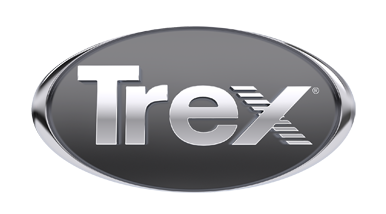 Trex offers consumers a truly environmentally responsible choice. Being green is in our DNA. We've been this way for more than 20 years, well before green was a buzzword. Because in the end, all of us want to look out on our decks and know that we’ve done our part. Locally sourced reclaimed wood that would otherwise end up in a landfill finds its way into Trex high-performance composite decks. By using reclaimed sawdust, we never have to cut down a tree to make our products. Ever. The recycled wood in our decks is combined with recycled plastic film from a variety of sources ranging from the overwrap on paper towels to dry cleaner bags, sandwich bags, newspaper sleeves, and grocery and shopping bags. Here’s an interesting fact: the average 500-square foot composite Trex deck contains 140,000 recycled plastic bags! That makes us one of the largest plastic bag recyclers in the U.S.
Trex takes an active role to ensure our supply vendors operate with ethical and responsible business practices. Approximately 95% of our supply vendors are based in the U.S. We conduct supply chain assessments, including in-person reviews, operating facility tours, and work with our suppliers to reduce environmental impact across the supply chain. As a result, we make it a practice to use post-consumer and post-industrial content wherever possible. Trex works along with other U.S. Green Building Council members to transform the way building and communities are designed, built and operated with the goal of creating environmentally and socially responsible spaces that improve the quality of life. Explore Trex's eco-friendly decking products, or order a sample to get a closer look. As one of the largest plastic film recyclers in the U.S., Trex saves 500 million+ pounds of plastic film and wood from landfills each year. A standard 16-foot Trex board contains recycled material from approximately 2,250 plastic bags. The average 500 square-foot composite Trex deck contains more than 140,000 recycled plastic bags, films, and wraps. The entire high-performance Trex decking portfolio is manufactured using more than 95% recycled content. In addition to contributing to a healthier environment, our eco-friendly recycled decking also contributes to your LEED points—not to mention your good karma. Trex products contribute up to five LEED points to any structure. Learn about Trex and the LEED Green Building Rating System™. 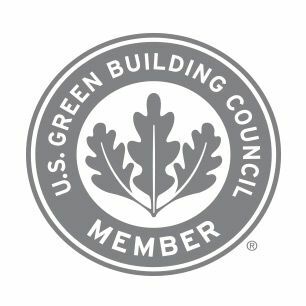 Created in part by the U.S. Green Building Council, LEED is a point-based system designed to honor building projects that incorporate efficient, cost-effective and safe eco-friendly products. Trex products can add up to five points to your project—four points in the Materials and Resources category for being composed of up to 95% recycled materials, and one point in the Innovation and Design category. Care to help us keep things green? Join one of our recycling programs and win fabulous prizes. We haven't felled one tree in the making of Trex high-performance composite decking. Ever. The National Building Museum's "The Green House" exhibit in Washington, D.C. Widely recognized as the leading eco-friendly choice for decks and deck railings, Trex has always been at the forefront of the green building industry. As a proud member of the U.S. Green Building Council (USGBC), Trex collaborates with leaders from every sector of the building industry to transform the way buildings and communities are designed, built and operated with the goal of creating environmentally- and socially-responsible spaces that improve the quality of life for everyone. Trex also works to educate the nation’s youth about the importance of recycling and a sustainable world. Through its annual Trex School Recycling Challenge, Trex engages thousands of students across the country in a friendly competition to see who can collect and recycle the most plastic bags, wrap and film packaging for a chance to win Trex products for their schools. The challenge begins each year on America Recycles Day (November 15) and ends just in time for Earth Day (April 22). The GAIA Award in the fall of 2014 for our eco-friendly decking. The Middle East's premiere awards program honors sustainable and eco-friendly building products and manufacturers. The Green Builder's Reader's Choice Award for the greenest decking in the industry, 7 years in a row. It's a testament to our commitment to responsible construction, from the people who know it better than anyone. The Governor of Virginia's Environmental Award for "impressive tonnage of recycled grocery bags and pallet wrap kept out landfill"
Connecticut College's Inherit the Earth Gold Medal for "demonstrating that business can be profitable, while meeting the needs of environmental sustainability"
In 2015, 66 benches were awarded to winning schools that collected 170,135 lbs of plastic film. That’s approximately 12,760,146 grocery bags put to better use in making Trex decking. In conjunction with Trees for the Future, one tree is planted for every piece of Trex Outdoor Furniture sold. More than 22,000 trees have been planted through this partnership.